Navigate tight spots and dodge unexpected hurdles in Georgia thanks to the precision steering and optimized wheelbase of the new 2018 Wrangler lineup at Chrysler Dodge Jeep Ram of South Savannah. The all-new 2018 Jeep Wrangler has been engineered with a tight turning radius, making it easier than ever for Savannah, Georgia owners to manage any challenging situations that might arise. Built and tested for driving over obstacles such as logs, rocks, or whatever else happens to be on the trail, these new 2018 Wrangler’s are ideal for any off-road Georgia situation. From ground clearance to approach, breakover and departure angles, these iconic off-road vehicles just keep on going. New air extractors have been added behind the fender flares of the new 2018 Wrangler models at Chrysler Dodge Jeep Ram of South Savannah, helping to keep the engine compartment nice and cool. 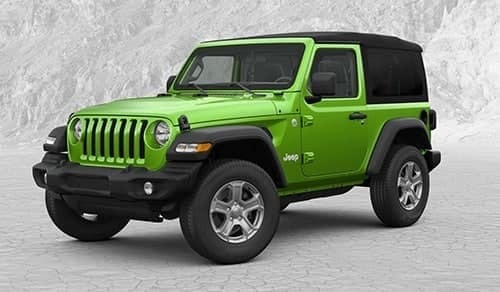 The Jeep Brand badge has been moved from the hood back to the side of the aluminum fender, a look reminiscent of past Jeep Wrangler models. 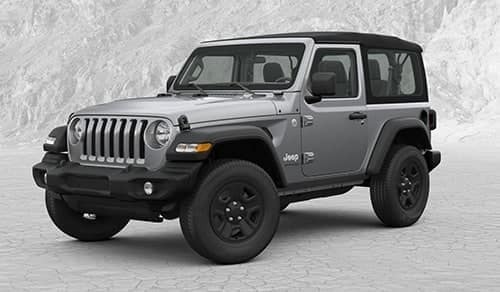 For wheels and fenders that elevate every trim, rugged black flares come standard on 2018 Jeep Wrangler Sport and Rubicon models. Sleek body-color fender flares come standard on 2018 Sahara trims, and are also available on Rubicon models. Premium LED headlamps, including a LED signature ring, are available on new 2018 Jeep Wrangler Sahara and Rubicon trims, creating what is a truly distinctive and defining appearance. This illuminating package includes LED fog lamps, tail lamps and daytime running lights on the fenders as well. Owners in Savannah, Georgia can also equip their new 2018 Wrangler with available premium LED tail lamps that deliver modern performance, but still have the rugged “bolt-on” look that’s been characteristic of Jeep Brand vehicles over the decades. Every detail inside the all-new 2018 Wrangler lineup at Chrysler Dodge Jeep Ram of South Savannah was designed to offer maximum utility and uncompromising style. Grab handles are built right into both the A-pillar and B-pillar to make it easier to get in and out of these new 2018 Jeep Wrangler models, as well as to offer solid support when off-roading. Their wash-out interior features new one-way drain valves located in the floor that allow water flow out but not back in. Remove the carpet in these 2018 Wrangler’s and you can wash out the interior with a hose. Knobs, buttons and toggles have all been tested to ensure supreme functionality in a variety of conditions and situations. Rubber material around the Uconnect® touchscreen, Start/Stop button and other switches were purposefully designed for usability, ergonomics and added durability. Be prepared for whatever comes your way when exploring everything the Georgia outdoors have to offer. The new comfort and convenience features of the 2018 Jeep Wrangler were designed to provide an improved experience for both you and your passengers, no matter which direction the temperature happens to be heading. 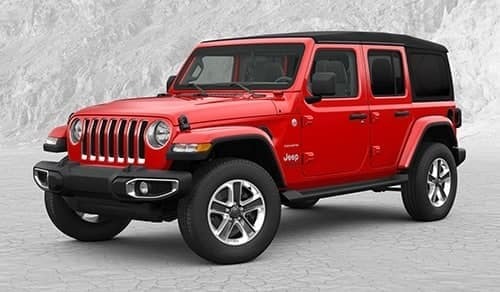 Chrysler Dodge Jeep Ram of South Savannah serves customers from Vernonburg, Georgetown, Thunderbolt, Montgomery, Savannah and all of the surrounding communities, helping them find the new 2018 Wrangler that is ideal for their active Georgia lifestyle. We take pride in the premium level of customer service that our sales personnel are known for providing, and we work hard to ensure that each person entering our our dealership leaves satisfied. When you’re ready to find your new 2018 Jeep Wrangler, visit 8701 Abercorn Street in Savannah, Georgia and speak with any of our friendly and knowledgeable salespeople about all of the purchasing options available to you.